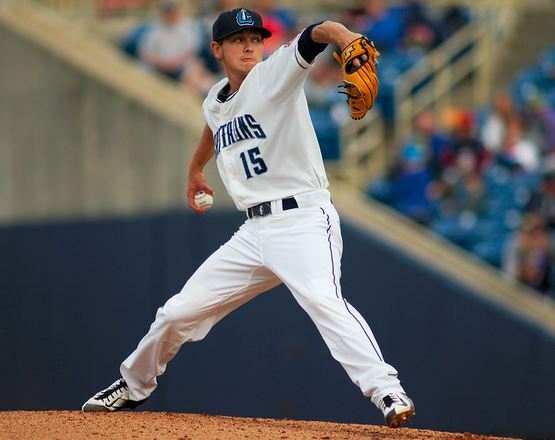 The Lake County Captains, the Tribe’s Class A Midwest League team, has a few pitching prospects worthy of notice: Cameron Hill (1.45 EA, 45 Strikeouts in 37 innings); Nick Pasquale (1.62 ERA, 36 Strikeouts in 39 innings); Justin Garcia (1.55 ERA, 24 Strikeouts in 29 innings); and Caleb Hamrick (2.01 ERA, 24 Strikeouts in 22 innings). They have an incredibly able pitching coach in Steve Karsay, who pitched for the Indians and the Yankees. And a fifth LCC pitcher, J.P. Feyereisen (1.08 ERA, 25 Strikeouts in 16 innings), has already moved up to the Lynchburg Hillcats, where he has struck out 14 batters in as many innings. Good luck guys, and keep up the good work. Jackie Robinson steals home….did Yogi tag him?